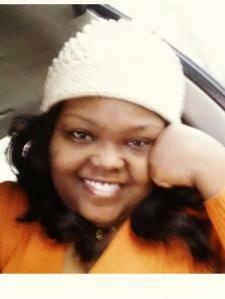 My name is Nicole B. and I am an experienced tutor who is new to the Birmingham area. I just recently finished my PhD in Chemistry from Louisiana State University and since I am new to city I am looking to again build up my tutoring business. I am able to tutor most subjects, however I do specialize in math and science. I also can help with Spanish. I have over 10 years of tutoring experience and have the ability to work with any student, ranging from grade school to adults. I am very patient and efficient, and love it when I am able to help students grasp difficult concepts. What I feel makes me an outstanding tutor is the fact that I really focus on getting to know my students so that they are not only more comfortable and receptive to the material at hand, but also so that I can modify the way in which I get them to understand the information. This is because I am very aware that each student is different in that the way in which they learn may differ from the next. I not only hold a B.S in chemistry from Winston Salem State University, I also hold a PhD in the field of Analytical Chemistry from LSU. Thus, not only am I am expert in my field, I have, in addition to my studies, been active in tutoring privately as well as establishing a free tutoring program at my church which is still ongoing. In my experience in tutoring chemistry, as well as other science courses, I have acquired the talent of breaking down the concepts into more manageable step that will help the student in grasping the information better. I hold a minor in Spanish, and I also took some of my upper level courses during a semester abroad in Alicante, Spain. I am able to help with writing, speaking, as well as will learning the many verbs and conjugations of the tenses. Math is probably my favorite subject to tutor and I also hold a minor in this field. I can tutor most upper level math courses, but I especially like to work with children on the basics. In my experience I have encountered many children who lack the basic mathematical skills necessary to excel in upper level courses, and have seen first hand how discouraging it can be. Thus, I really get joy from teaching the basics in order to help build the strong foundation needed to be successful in more advanced coursework. My credentials alone indicate my capabilities and knowledge in the field of math and science, but it is my love for teaching, moulding, and readying young minds that really make me the most qualified. Please feel free to contact me with any additional questions and I will be happy to answer them. I hope to hear from you! I have tutored the subject for a number of years and my students have been able to improve at least two letter grades. I hold a doctorate in chemistry and have years of tutoring and teaching experience. Nicole helped me prep for my first test in precalculus. Every question I asked, she knew how to solve. I would suggest if you are going to get her to tutor for you, go in knowing where your weak areas are so that she can better assist you. If you don't know what questions to ask, even the best teacher doesn't know how to help. My son felt that his lesson with Nicole was extremely helpful! They worked on the concepts he was having trouble with, then continued on to some other skills. Will definitely book again as needed. Highly recommend! Excellent. Child received highest honors 2x. Ms. Nicole B. is patient, and she does an excellent job of tutoring clearly and to the point. Booking a session with her is time and money well spent. Thanks Dr. B.
Nicole helped me prepare for a BioChem test. She was able to help me work problems and not just focus on concepts. She helped me learn in the way that was best for me. So grateful for her help! Nicole has supplemented instruction of an online chemistry course by presenting the material in an understandable format. Very easy to work with and extremely knowledgeable. Took it to an understandable level, with regards to student comprehension. We look forward to the next lessons. She has a firm understanding of everything. I think she will guide me toward my goal. After one Chemistry lesson, my daughter was able to understand problems that have been difficult to comprehend all semester. She felt very comfortable with Nicole's teaching style. The sessions boosted her confidence! Very knowledgeable, experienced and patient tutor! Nicole is outstanding! I like the one on one attention that my son receives. She spends time teaching the basics to help him gain understanding of the work. She is patient and knows how to break it down so well that my son gets it. He has already made a difference in not only his test and homework scores but also in improving his study skills. He was really struggling when he started school but now he is feeling more confident about what he has learned! Nicole's help has allowed my daughter to improve her grade and has increased her confidence in her ability to learn math. Nicole is accomplished in other areas of study and my daughter likes that she can ask her science questions as well. Our daughter lacks confidence in math and Nicole has really helped her see that she can be good at math. Nicole is very patient and good at waiting for the student to see the process and let them work through their mistakes.